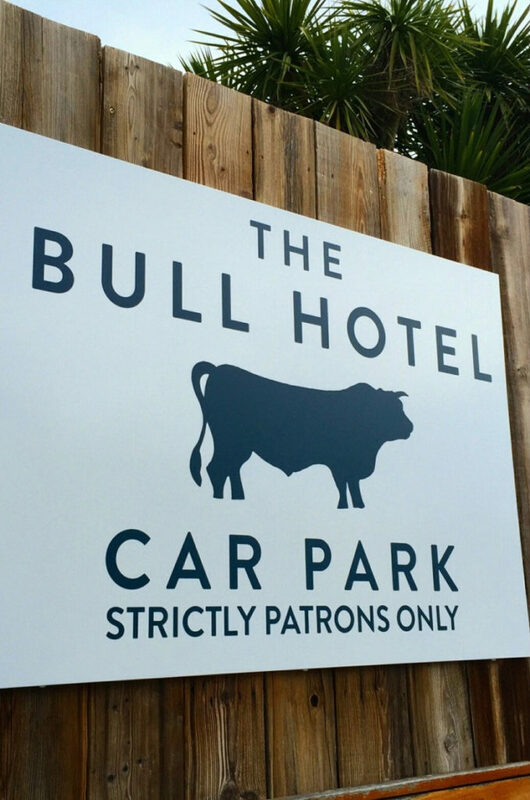 Luxury South West English boutique hotel, the Bull Hotel, sits in the market town of Bridport. The vintage quarter is known for its lush landscape due to the proximity of the famous Jurassic Coast of West Dorset. The chic hotel has 19 rooms and two restaurants, resembling the intimacy of a bed and breakfast. The award-winning hotel has a distinctive and highly recognizable brand image featuring a somewhat minimalistic design approach. 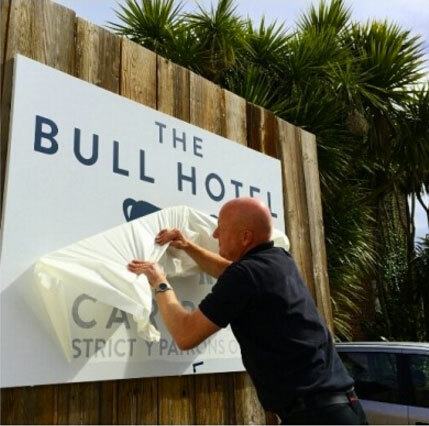 The use of Dibond, an aluminum-faced material, creates a modern appearance to the exterior signage while additionally offering a lightweight alternative to other equally sturdy substrates. 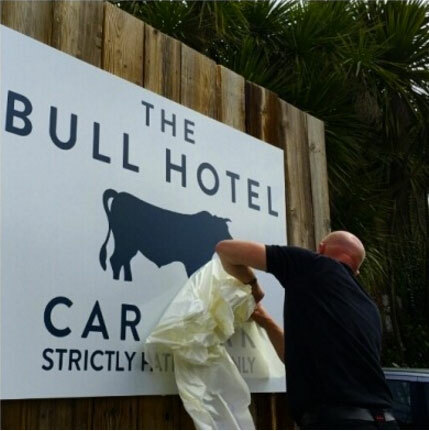 “It’s particularly well suited to outdoor signs due to its resistance to wind and weathering,” Rob at Creative Solutions adds. Creative Solutions employs a team of specialists in signage manufacturing as well as wide format printing, exhibition design and various other creative display elements.